A cousin shared some of her unknown photographs with me. 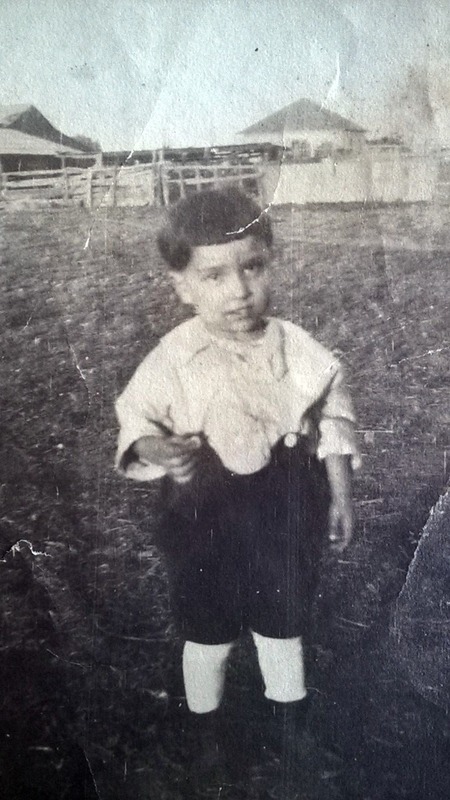 One was taken around 1915-1920 and was labeled “My nephew Freddy with his first pair of short pants”. We almost missed identifying little Freddy because the real relationship with the person who owned the photograph was different than the note implied. In order to solve this mystery we made a list of the possible relatives it could refer to. It originally belonged to one of the Bonita cousins. It was most likely Minnie (Bonita) Gomes or Marie Grace (de Braga) Bonita’s. Scouring through their descendants left no match. There weren’t any boys in the right era named Freddie, Fred, Alfred, Alfredo, Frederick, or any combination of Portuguese, American, or common names used at that time. Who could he be? In sharing the photograph with relatives his identity came to light. Ted Souza recognized his brother, Alfred, who was sometimes called Freddy. Alfred was born in 1916. But, Alfred was not Minnie or Marie Grace’s nephew. He was Marie Grace’s great nephew and Minnie’s first cousin, once removed. How did the little boy get labeled as “nephew”? There are a few possibilities. It might have been a simple error. We all make them. You make them. I make them. I meant to write cousin and I wrote nephew. It’s easy to do. The photograph was Minnie’s or Marie Grace’s and they defined relationships more loosely. Those of us with roots in Hawaii, but not brought up there know the confusion of a person who refers to someone as auntie who is really their cousin or sister-in-law. Terms like Grandma, Grandpa, cousin can denote respect rather than the true nature of the relationship. The definition of nephew is different in different cultures. Did you know that some cultures define niece and nephew as the child of their first cousin? I’m not sure if the Azoreans did this, but it is entirely possibly, especially as cultures mixed in Hawaii. The photograph was given to Minnie or Marie Grace. This may be the most obvious answer. 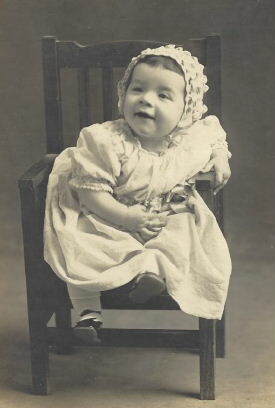 One of Alfred’s aunts or uncles may have given the photograph to Minnie or Marie Grace. “My nephew Freddy”. I write on the back of photographs all the time. I don’t usually sign my name. All of these scenarios could be the truth. I can even see family members referring to the children of cousins as nephew and niece. These families were so close. They lived together in Kilauea, Kauai, Hawaii and on the same street, E. 25th, in Oakland. They migrated to Monterey County and back to Oakland together. Family was a deeply rooted construct that spread out to distant cousins and their in-laws. I won’t know for sure without comparing writing samples. Until that time, I’ll use caution when interpreting relationships designated on photographs. The person who ended up with the photograph may not be the one who wrote the original note. Thank you for that important word of caution. We have many such family photos. Figuring out who is who, now that many of the old timers are gone, is tricky. I appreciate your sharing this insight. Kathryn, Thanks for stopping by! It isn’t always easy to know who wrote on the back of a photo, so it’s always good to be cautious. I didn’t realize that relationship terms could differ by era and culture. It’s good to keep in mind.